Among numerous Kusatsu Onsen we are attracting the source of "Yu-batake" which is considered to be the best quality. 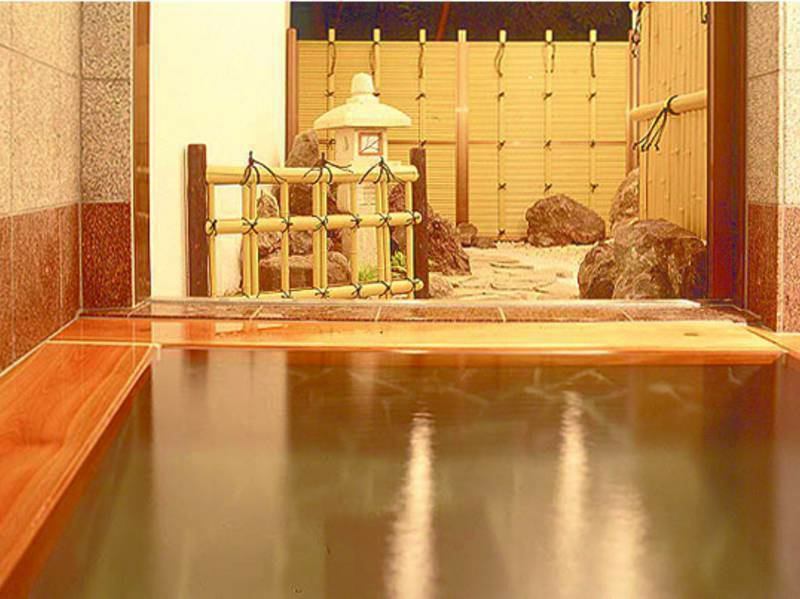 We can bath while concentrating hot springs at 100%.Basically it is a colorless and transparent hot spring. ※When there are bad weather conditions such as rain, "Yunohana" jammed in plumbing from the Yu-batake to the hotel may flow and become white turbid. That is a very lucky day! We rarely have customers who mistake as garbage, but the flower of Kusatsu Onsen is very valuable and has high rarity value. It's not a matter made artificially but a few opportunities to meet the natural "Yufana"
At that time, please enjoy the hot spring with a special feeling. 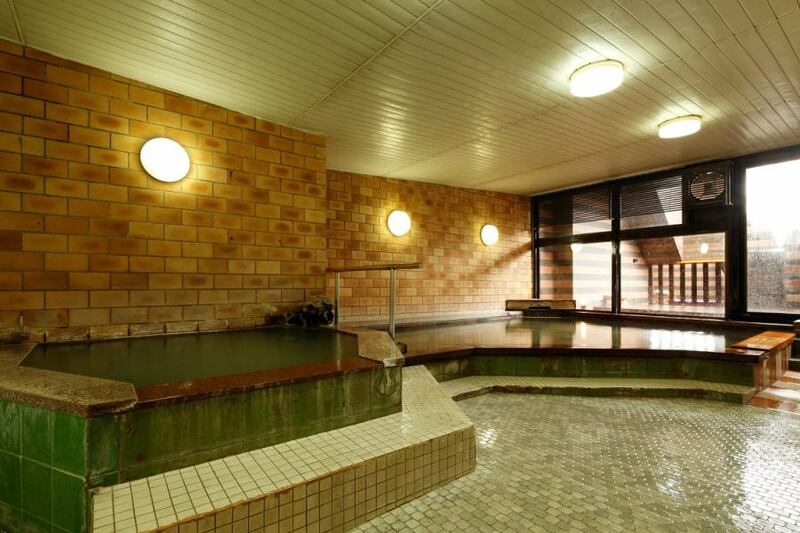 Three bathtubs that changed the temperature of the large public bath Megumi. Children can relax with confidence. On the big public bath Izumi · Megumi is a wood deck open-air bath. You can enjoy the natural hot spring while feeling the seasons of the outside air. You can spare no effort. 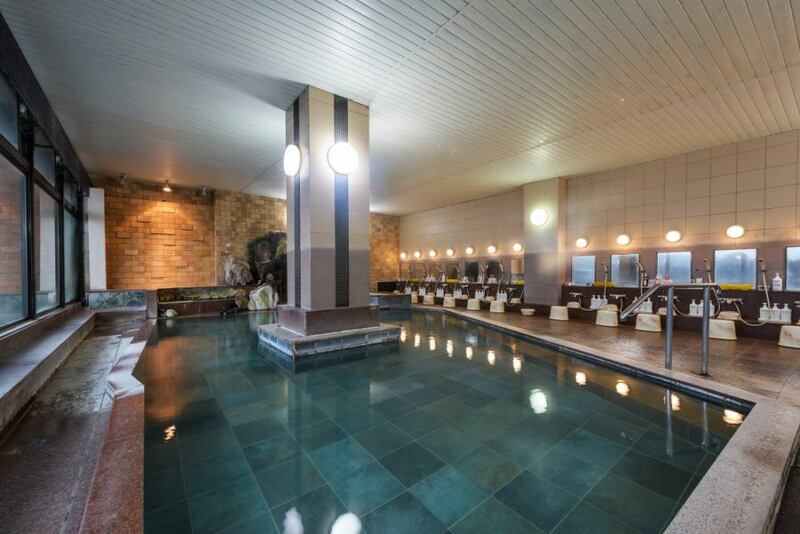 It is a large public bath with a spacious and open feeling. It is said that it works for all sickness except love disease. 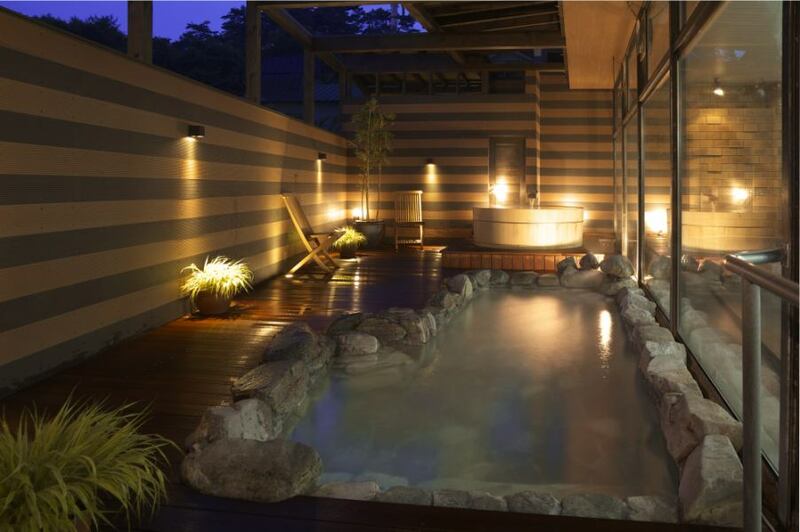 There are three places of Izumi open-air bath, a cypress bath, a rock bath and a pottery barrel bath in the wood deck. Megumi Bath Megumi large public baths can enjoy "hot water", "ordinary hot water", "warm water" and are safe for children. ※Kusatsu Onsen is very slippery on the fountain so please take good care of it. It is a comfortable bath where the fragrance of hinoki and sulfur of Yu-batake-spring are Yu-batake-spring. The mind settles in a pottery bath with a sense of privacy. 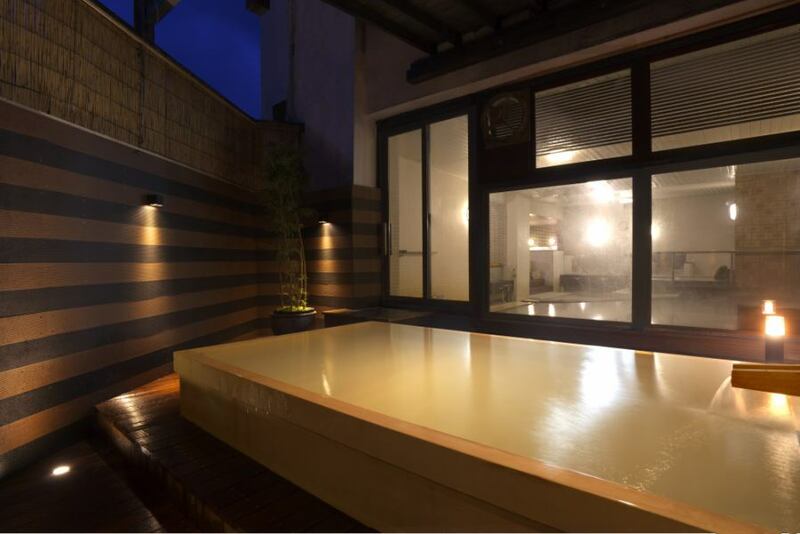 It is a charter garden bath with a motif of a garden.※There is no outdoor bath. Enjoy the Kusatsu Onsen without fuss with family and couples. It also works for love affair! What? "Major efficacy", neuralgia, muscle pain, joint pain, skin disease, frozen shoulder, cotton whipping, recovery period, recovery from fatigue, health promotion, chronic gynecology, diabetes, hypertension, arteriosclerosis etc. The public bath and outdoor bath will be switched to AM 2: 00.Because of the replacement work, I can not take a bath between AM 1: 00 and AM 4: 00. Private bath is charged.50 minutes 2,160 yen · It is reservation on the day.